BIG BREAKING NEWS :- TET-1 TET-2 & HTAT EXAM FULL ANALYSIS AVAILABLE NOW (OFFICIAL ) PDF FILE. 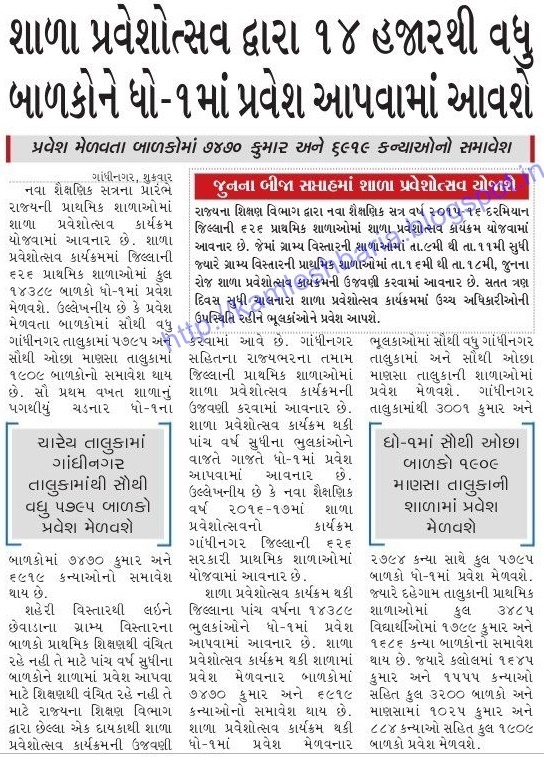 TET-2 MATHS / SCIENCE RESULT. FAJAL SHIKSHAKONE RAKSHAN APAVA NI NITI GADAVA MA VILAMB THI NARAJAGI. SKILL BASED IT COURES NO COLLEGES NA STUDENTS NE LABH AAPVA BABAT PARIPATRA. 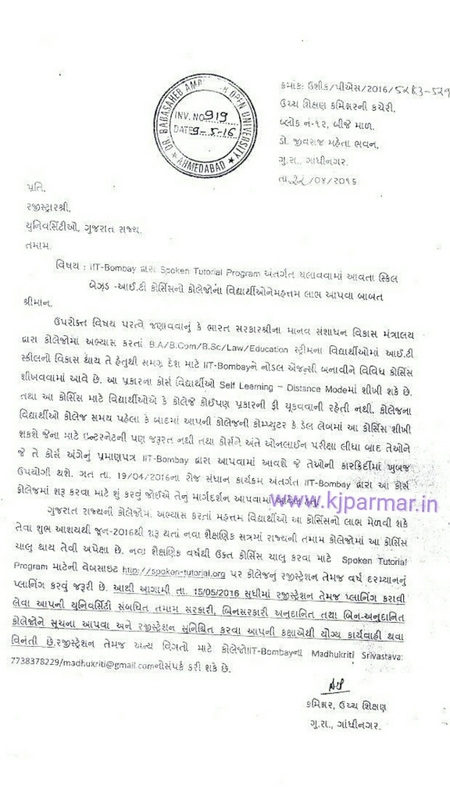 PANCHMAHAL:- RTI ANVAYE SMC NA BANDHKAM NE LAGTI MAHITI APVA BABAT FROM SSA. 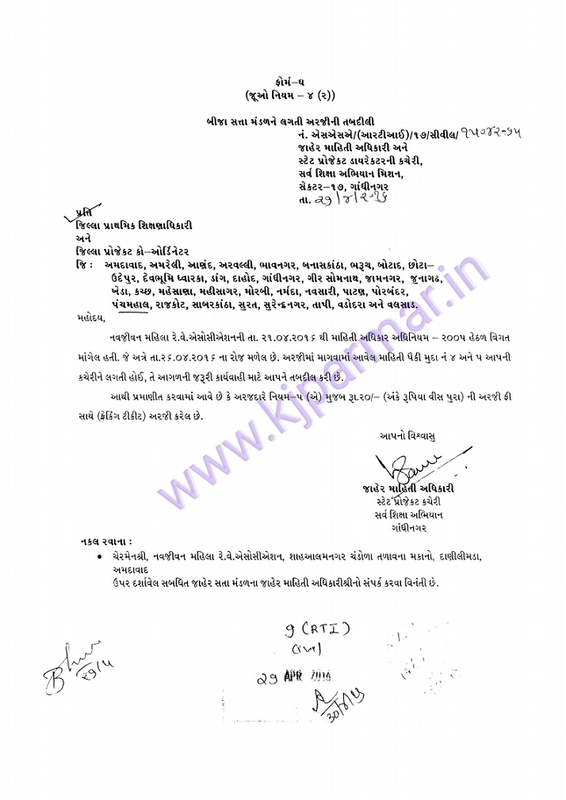 SHALA PRAVESHOTSAV DWARA 14 HAJAR THI VADHU BALAKO NE DHORAN 1 MA PRAVESH APAVA MA AVASHE. 7th Pay Commission: Govt employees may get 30 per cent hike. New Delhi, May 12: In what could be termed as yet another good news for Central Government employees, Finance Ministry most likely will seek Cabinet nod for the recommendations of the Seventh pay commission by June-end. Cabinet approval is the last formality government needs to do, before increased payout will be handed over to the government staff. Reportedly, Modi Government is aiming to implement pay commission in the month of July, after state elections will get over. Sources say that Centre will most likely give overall 30 per cent hike. Currently, Empowered Committee of Secretaries is overviewing pay commission's recommendations. Most likely, Committee will submit its report to Finance Ministry in the first week of June, just after Assembly elections in the state. Sources say panel has pushed for more increment than earlier proposed by the Commission in its report. Panel propses 30 percent basic pay raise instead of 14.27 per cen increment by Pay panel in its September report. As per media reports, secretaries panel have suggested maximum salary to be Rs. 2,70,000, which is twenty thousand more than the prescribed upper limit by the pay commission. Panel wants lowest salary to be fixed at Rs. 21,000, which is three thousand more than the lower prescribed limit. Earlier, Bharatiya Mazdoor Sangh (BMS), the labour wing of BJP met Jitendra Prasad, Union Minister of State for Personnel, Public Grievances, and Pension to express their concerns about the Pay Commission. The BMS, the largest central trade union organization in India, sought an increase in the Multiplication Factor and changes in the HRA. Minister also assured Union that it will consider maximum possible payout for them. ARAS PARAS BADALI NI JAHERAT ANGE AGATYA NI SUCHANA. ARAS PARAS BADALI NI JAHERAT ANGE TAMAM SHIKSHAK MITRO NE JANAVAVA NU KE HAAL JE BADALI NI TARIKHO NA MSG SOCIAL MEDIA FARI RAHYA CHE TE TADDAN KHOTA CHE TO KOIE TE BABATE DHYANE LEVU NAHI . GOVERNMENT TARAF THI HALL AAVI KOIJ SUCHANA KE OFFICIAL WEBSITE PAR NOTIFICATION AAPVA MA NATHI AAVYU.TO PLEASE AA MSG NE IGNORE KARVO. 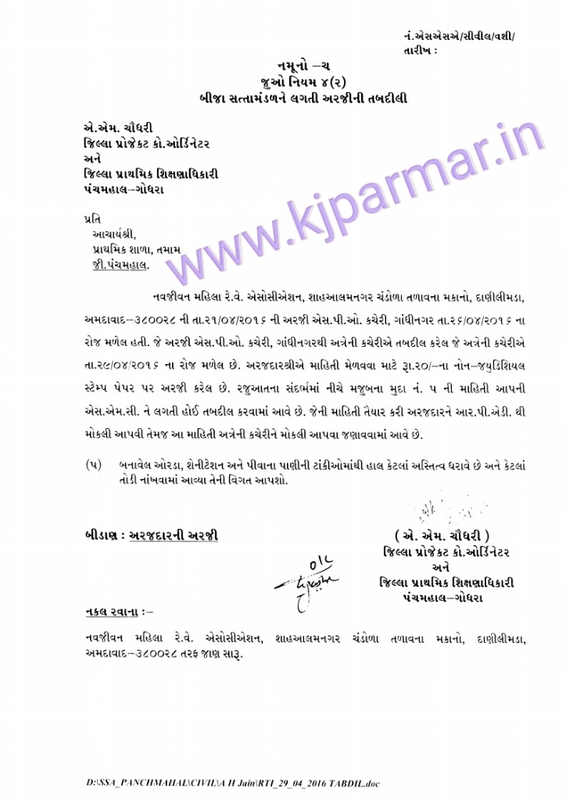 UPARAKT BABATE INQUIRY MATE PLEASE KOIE CALL KARVO NAHI , JE PAN MAHITI UPLABDH THASHE TEVI TARAT J WEBSITE PAR UPDATE KARVA MA AVSHE. Latest Current Affairs And job update.